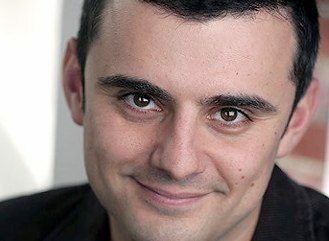 Win Gary Vaynerchuk's Crush It! 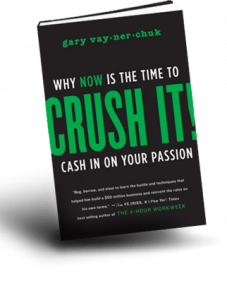 Win Gary Vaynerchuk’s Crush It! I’m giving away 15 copies of Crush It! the forthcoming new book from Gary Vaynerchuk. Will one of them go to you? I’m interviewing Gary live on Twitter on Thursday, October 8 at 11am eastern. It’s part of my Twitter 20 series of interviews of social media luminaries. Previous interviews of Jason Falls, Scott Monty, Ann Handley, Lee Odden, David Armano and a whole bunch of other folks are available here. I have a lot to ask Gary. About social media. About the book. About wine. But what do YOU want to know? After all, this is a guy from a Russian immigrant family who grew his family business from $6 million/year to nearly $100 million/year using almost entirely social media, and who now has a 10 book deal, and knows more about wine that just about anyone. I ask 20 questions in my Twitter 20 interviews (hence the name). I’m going to ask 5 of the questions, and hopefully you’re going to ask the other 15. Just leave a comment with a question you’d like me to ask Gary, and if I ask it during the interview, you WIN. I’ll send you a copy of Crush It! for free. (please use real email addresses in comments, so I can track you down and get your mailing address). Remember, it’s a Twitter interview, so I only have 120 characters to ask the question. (140 minus the question number, hash tag (#twt20) and @garyvee). Please ask your questions in 120 characters or less. Thanks for playing, and good luck. I hope each of you crushes it.